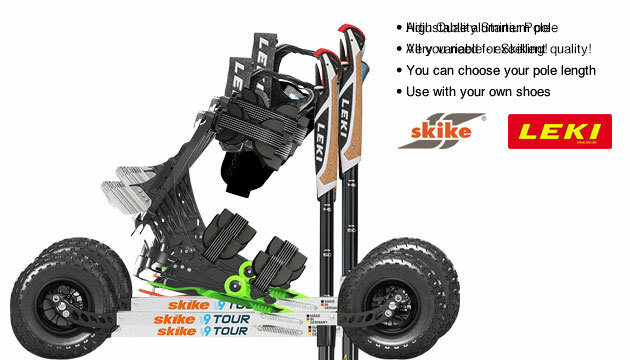 The Skike v9 TOUR is a complete new development by Skike. Use your own shoes. Equipped with several quick release levers and high-end belts Skike v9 TOUR is a very comfortable cross skates for beginners and advanced skaters.